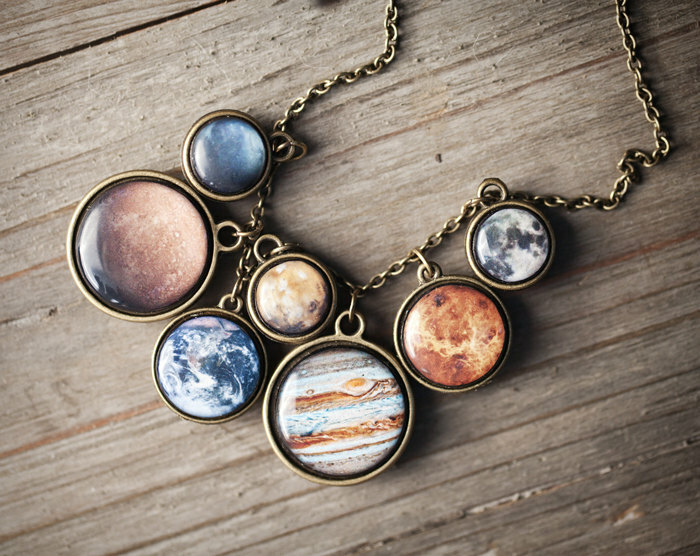 It's quite humbling to think that all of the planets in our solar system can rest peacefully on your collar bones. 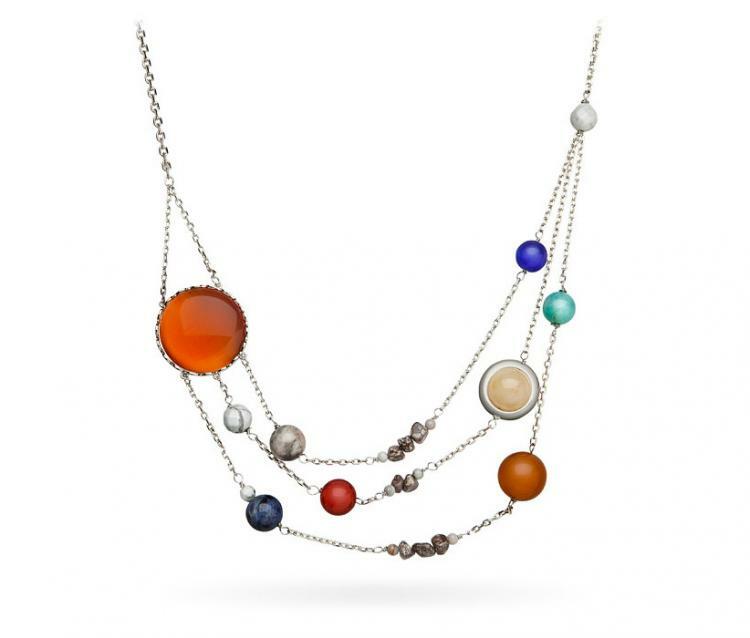 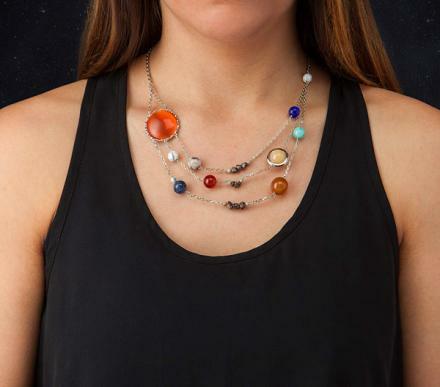 This solar system necklace features all of the planets in our solar system with each planet being in general the correct size compared to the other planets. 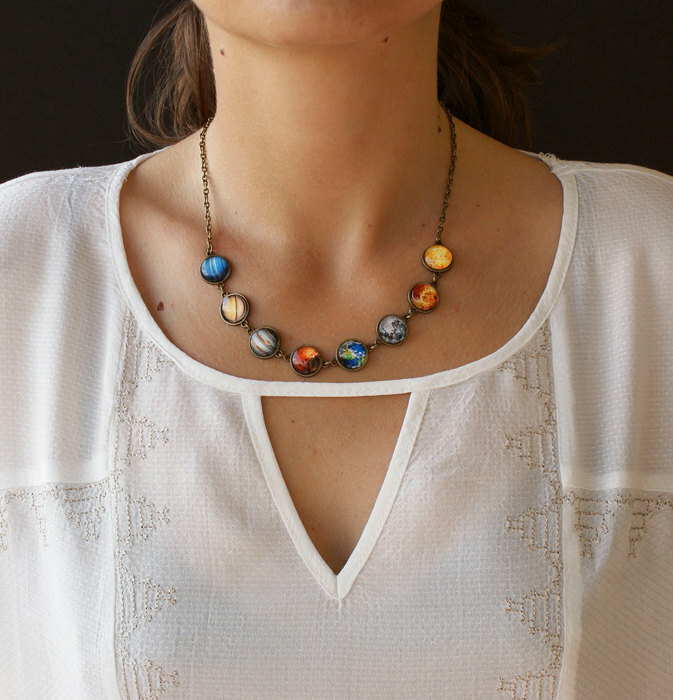 An even cooler detail is that the necklace even has the asteroid belt between Jupiter and Mars. 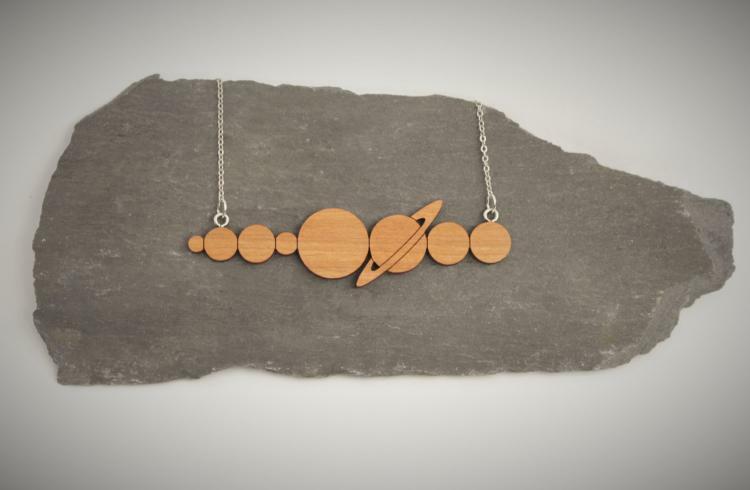 Although this is just one take on a solar system necklace, you can find many other designs on Etsy which are just as creative. 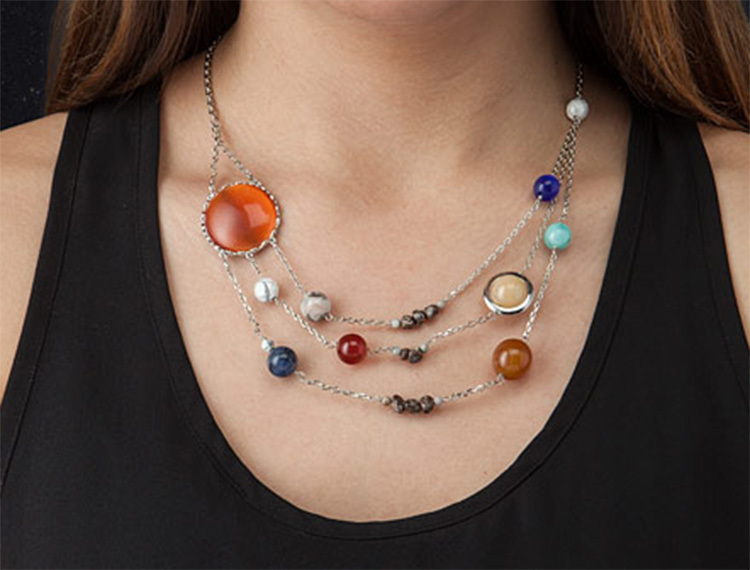 The solar system necklace features the Sun (made from dyed jade), Mercury (made from white turquoise), Venus (made from crazy lace agate), the Moon (made from white turquoise), Earth (made from sodalite), Mars (made from red agate), the Asteroid Belt (made from snow stone), Jupiter (made from yellow agate), Saturn (made from yellow jade), Uranus (made from dyed jade), Neptune (made from dyed jade), and Pluto (made from white turquoise). The solar system necklace is made from an 18 inch chain with a 3 inch extender that features a star on it along with brass plating with imitation rhodium, uses a lobster claw closure, and is a ThinkGeek creation and exclusive. 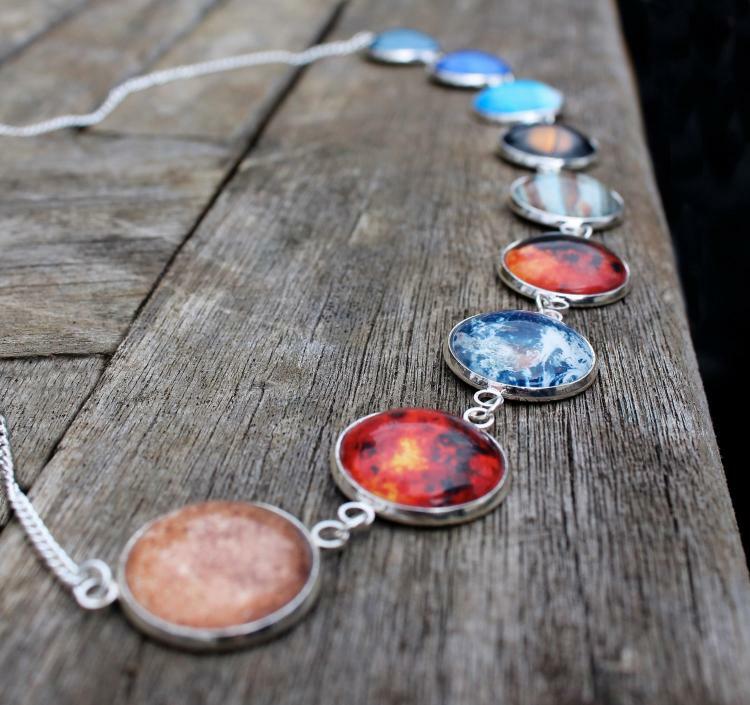 Check out these other solar system necklace designs that you can find on Etsy.